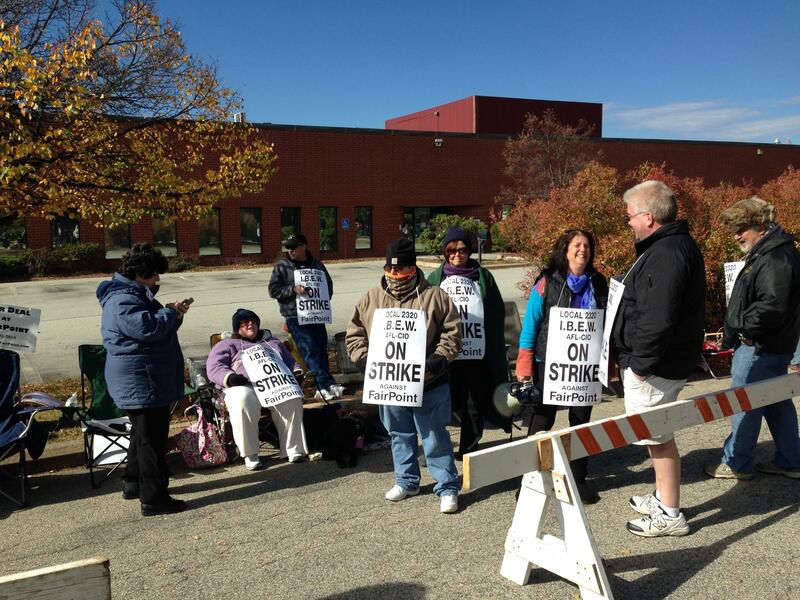 FairPoint workers in Manchester on strike. Tuesday afternoon, the state Senate Commerce Committee will hold a hearing on a bill that would make New Hampshire a so-called “Right-to-Work” state. The bill prohibits collective bargaining agreements that require employees to join a union. It’s a perennial issue in the state and it went as far as passing the Republican-controlled legislature in 2011. But it didn’t have enough votes to override then-Governor John Lynch’s veto. Governor Maggie Hassan is against Right-to-Work. Proponents argue it provides workers with greater freedom of choice while unions say it’s creates a free-rider problem that forces unionized employees who pay dues to subsidize those who don’t. A similar bill in the House will have its first hearing Thursday in the Committee on Labor, Industrial and Rehabilitative Services. *Correction: An earlier version of this story suggested the Tuesday hearing was for the House bill. The New Hampshire Senate has voted down so-called “right-to-work” legislation. The vote Thursday morning was 13 to 11, with every Senate Democrat and two Republicans voting against the bill to excuse non-union employees from paying fees to negotiate and administer contracts. The Republican-majority legislature in 2011 passed a bill, but they were unable to override a veto by then-Governor John Lynch. Opponents including Manchester Democrat Lou D’Allesandro argue "right-to-work" is bad for middle class families. House Kills Latest Effort To Make Right-To-Work Law In N.H. The House of Representatives on Wednesday rejected a bill that would have made right to work the law of the land in New Hampshire. Union workers broke into raucous applause after Speaker of the House Terrie Norelli announced the tally of votes on the right to work bill brought before the full House on Wednesday. “The House will be in order," said Norelli, as she slammed her gavel. The bill was defeated, 212 to 141. The vote fell mostly along party lines. The New Hampshire House of Representatives has for the second time passed a so-called right to work bill. But the margin was well short of what would be needed to override Governor Lynch’s promised veto. Barring unions from requiring non-members to pay for representation has been a priority for House Republican leaders. Last year governor John Lynch vetoed a Right-to-Work bill, which republicans failed to override. Republican Marshall Quandt told colleagues this year’s version will fare no better. Is “Right to Work" Right for New Hampshire? 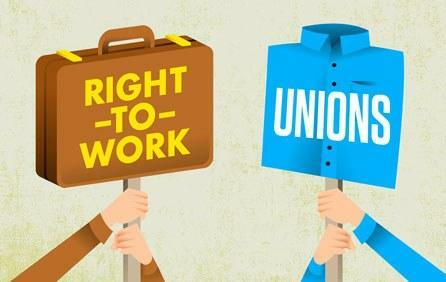 The state legislature is once again looking at whether the Granite State should join twenty-three others in adopting so-called “right to work legislation” which governs unionization. But this effort narrowly failed last year, and this year, opposition remains strong. We’ll talk with two national experts about the economics and politics of “right to work”.